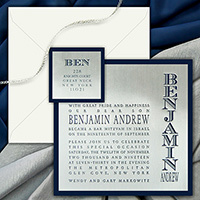 This spectacular Bar and Bat Mitzvah catalog lives up to its name in every way as it not only includes all of our previous printing capabilities (see Magical Creations description) but transcends them with many brand new techniques. 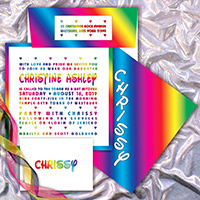 Beyond Letterpress, our own technique using rainbow colored letterpress, vibrant colors in letterpress with youthful, fun designing and our own exclusive papers that take letterpress to a whole new dimension of depth, shading and sheen. 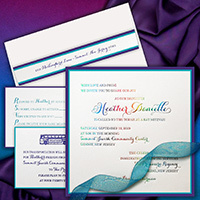 Sparkle inks in gorgeous colors, multi colored printing with the added step of raised glossy letters. New laser cut shapes in Lucite and Ice. Exclusive new Sunshine papers. Laser cut names used in surprising new ways. 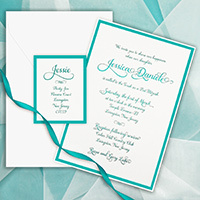 Great new graphic layouts using a multitude of incredible new typestyles and new "Under Glass" designs introducing foil features. 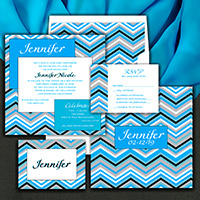 The countless paper selections, typestyles and latest state-of-the-art medias make customizing a dream come true. There simply are no limits. 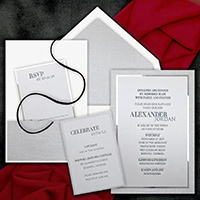 Prices range from $500 to $2000 for catalog invitations and the sky is the limit for your custom invitations.